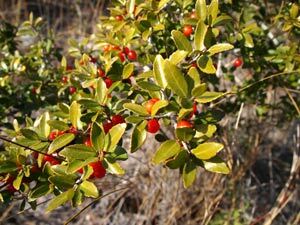 People living 700 to 900 years ago in Cahokia, a massive settlement near the confluence of the Missouri and Mississippi Rivers, ritually used a caffeinated brew made from the leaves of a holly tree that grew hundreds of miles away, researchers report. The discovery – made by analyzing plant residues in pottery beakers from Cahokia and its surroundings – is the earliest known use of this "black drink" in North America. It pushes back the date by at least 500 years, and adds to the evidence that a broad cultural and trade network thrived in the Midwest and southeastern U.S. as early as A.D. 1050. 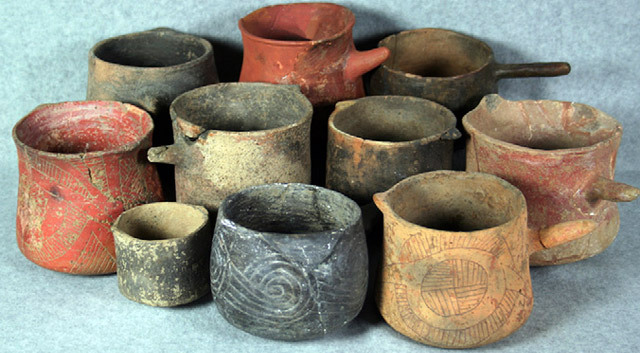 The new findings, published in the Proceedings of the National Academy of Sciences, highlight the cultural importance of Greater Cahokia, a city with as many as 50,000 residents in its heyday, the largest prehistoric North American settlement north of Mexico. University of New Mexico anthropology professor Patricia Crown and Hershey Technical Center chemist Jeffrey Hurst conducted the chemical analyses of plant residues on the Cahokian beakers, a project inspired in part by a similar analysis they led that found that people living in Chaco Canyon, New Mexico, in A.D. 1100-1125 consumed liquid chocolate in special ceramic vessels found there. Despite decades of research, archaeologists are at a loss to explain the sudden emergence of Greater Cahokia (which included settlements in present-day St. Louis, East St. Louis and the surrounding five counties) at about A.D. 1100 – and its rapid decline some 200 years later. A collection of ceremonial mounds, some of them immense, quickly rose from the floodplain more or less simultaneously on both sides of the Mississippi. The Cahokian mound builders spawned other short-lived settlements as far away as Wisconsin, Emerson said. Greater Cahokia appears to have been a crossroads of people and cultural influences. The presence of the black drink there – made from a plant that grows hundreds of miles away, primarily on the Gulf coast – is evidence of a substantial trade network with the southeast. The pre-Columbian settlement at Cahokia was the largest city in North America north of Mexico, with as many as 50,000 people living there at its peak. Credit: Painting by Lloyd K. Townsend. Image courtesy of the Cahokia Mounds State Historic Site, Illinois. Different groups used the black drink for different purposes, but for many it was a key component of a purification ritual before battle or other important events. Its high caffeine content – as much as six times that of strong coffee, by some estimates – induced sweating. Rapid consumption of large quantities of the hot drink allowed men to vomit, an important part of the purification ritual. "We postulate that this new pattern of agricultural religious symbolism is tied to the rise of Cahokia – and now we have black drink to wash it down with," Emerson said. The researchers chose to look for evidence of black drink in the beakers because the pots were distinctive and fairly rare, Emerson said. The team found key biochemical markers of the drink – theobromine, caffeine and ursolic acid – in the right proportions to each other in each of the eight beakers they tested. 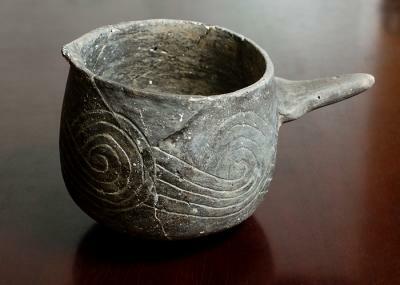 The beakers date from A.D. 1050 to 1250 and were collected at ritual sites in and around Cahokia.